Often when I describe where I am living to people back home in the States, I am presumed to be in Israel. 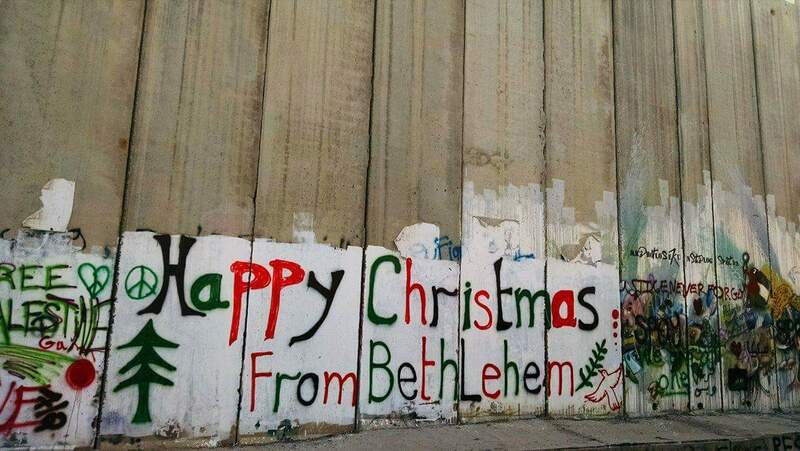 Contrary to popular belief, Bethlehem is actually located in Palestine. Just five miles from the Old City in Jerusalem, Bethlehem lies within the bounds of the West Bank, in Palestine. I walked home from the outskirts of Jerusalem late last night. Undeniably contested, Jerusalem lies on the Israeli side of the separation wall that divides the West Bank from Israel. I hopped off the bus just outside a settlement that lies on land that used to belong to friends of mine from Beit Sahour, and I walked along Hebron road until I reached Checkpoint 300, which crosses into Bethlehem. I pushed through the turnstiles, walked down the dirtied concrete ramp and entered into a hushed and now motionless taxi area. A few taxi drivers asked if I need a lift, to which I declined. Continuing on foot, I walked alongside the towering separation wall as I stepped on broken glass and trash. Approaching the main street, I saw two Israeli soldiers fixated on the side of the road keeping an eye on local activity. They looked in my direction as I made prolonged eye contact with them. Turning down a dimly lit side alley along the wall, I took my short-cut home. I looked back to see that the soldiers had moved away from their designated spots to see where I was going. Rounding the bend in the wall, I was now out of eyeshot. My mind drifted to a place of ambivalence at what is occurring here in Bethlehem. On one hand, by crossing into Bethlehem, I instantly felt “at home” and back to the safety of familiarity and friends. In the same moment, I walked alongside the monstrous apartheid wall passing soldiers with automatic weapons, and I was left with a myriad of conflicting feelings. I suppose it should be no surprise to manifest internal conflict when physically living in the tension of the Israeli occupation of Palestine. As a Westerner living in Bethlehem, especially during the time of Christmas, I can’t help but think that perhaps not a lot has changed. While Palestinians have a level of deep joy and resilience like I’ve never seen before, they understand the plight of living under occupation and oppression. Very close to the same journey I walked home from Jerusalem the other night would have been similar to the route that Joseph brought Mary as they entered Bethlehem for the census that was issued by Caesar Augustus. A level of uncertainty graced their journey as well. Ambivalence of a much greater measure, I would imagine, weighed on them as they entered Bethlehem at that time. Certainly now, Palestinians also continue to feel the magnitude of uncertainty in this current context. But it was in this place two thousand years ago, that there was heard again this voice of mirth and gladness (Jeremiah 33:10-11). In the midst of Roman occupation and difficulty, the One who would bring wholeness to all mankind was born. It was in the height of the Roman empire that a revolutionary unlike any other was born to a small, unsuspecting village. Positioned in a place of humble upbringing, this small child grew into a man that counterintuitively restructured the way authority was manifest. Leading by serving, elevating the outcast, giving a voice to the marginalized, situating himself next to the despised and discarded members of that society, Jesus brought life to those that he encountered. In the midst of oppression in any sense of the term, Jesus joined those on the edges of society and brought them into a place where they were showed value, care and worth. The power of life was brought through giving of his life to ensure that humanity understood that they were cared for beyond anything else. Further, it wasn’t just reconciling man to God, but all of creation to God! It was back then that the prophet Micah said, “But you, Oh Bethlehem, who are one of the little clans of Judah, from you shall come forth for me one who is to ruler in Israel, whose origin is from old, from ancient days.” (5:2) And so it would seem as if it is in the unlikely places that God brings forth redemption and salvation. 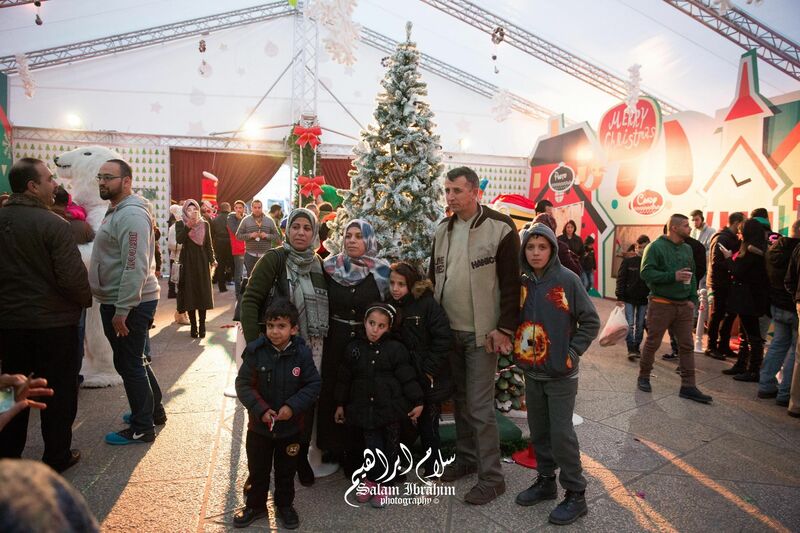 In today’s little town of Bethlehem, there is still this fragrance of hope that emanates from the hearts of the people dwelling here. Faced with adversity, this small clan of Judah, still carries the story of the kingdom of God inaugurated by the birth of its king, Jesus. 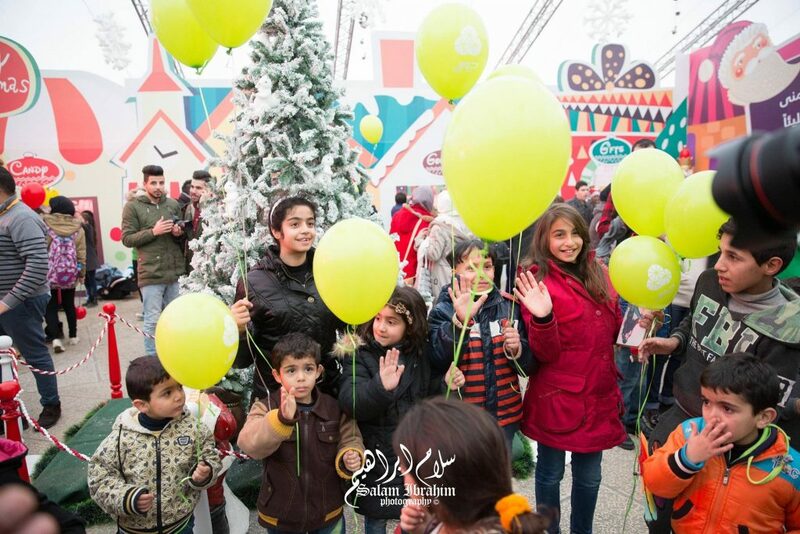 Celebrations, bazaars, parades and ceremonies are held to commemorate this time of advent. Lights and fireworks light up across the city throughout the month of December and January. Shouts and songs arise from the ancient streets as children run along with balloons and sweet treats. Church bells ring, and choirs sing as the time of Jesus’ birth draws near. 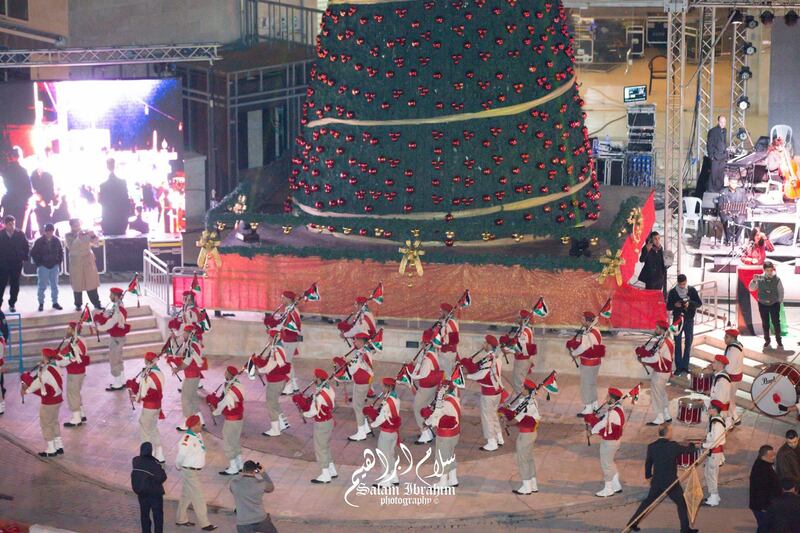 Muslims and Christians gather in Manger Square for the annual tree lighting with applause and joyful cheering. Scouts march playing the bagpipes, trumpet and drums while waving flags of Palestine. Tourists and pilgrims from around the world enter and exit the Nativity Church as Manger Street bustles with the new visitors. I stand here and take it all in. Bethlehem, Palestine. 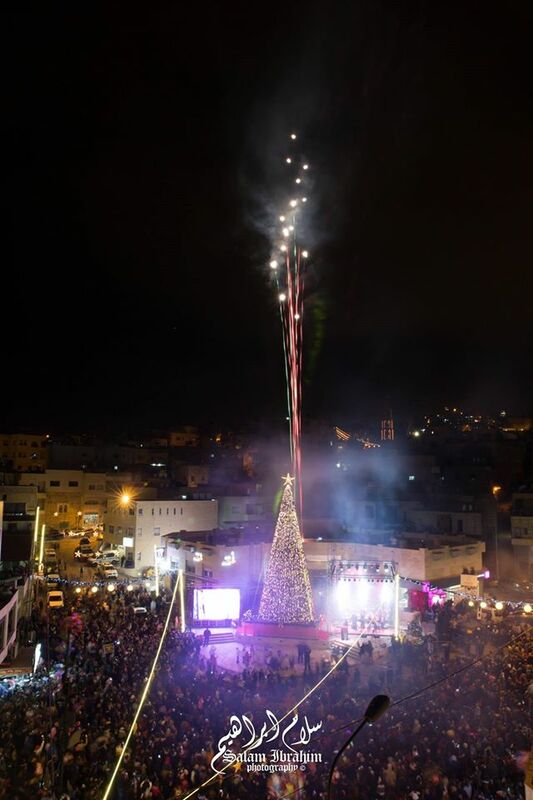 Encompassing the spectrum from disheartened to jubilant, Bethlehem is still perhaps the perfect place to acknowledge and prepare for the “here” and “not yet” kingdom of God. We live in this current reality of injustice and opposition, but with the anticipation of the days when we will experience justice and righteousness that will have no end. (Isaiah 9:7) It must be no mistake or coincidence that the Prince of Peace was born into a small village overshadowed by the Romans, and today, regardless of location, the Prince of Peace still comes to those in the throes of Empire to offer a freedom that cannot be touched by the powers of our day.